Team-Builiding, love them or hate them? Team-building events. Love them or hate them. When it is put on the calendar, it seems like a good idea. As the day approaches, and when we actually have to move out of our comfort zone and do it, grumbles start to happen. A few weeks ago, we had a planned team-building event scheduled. 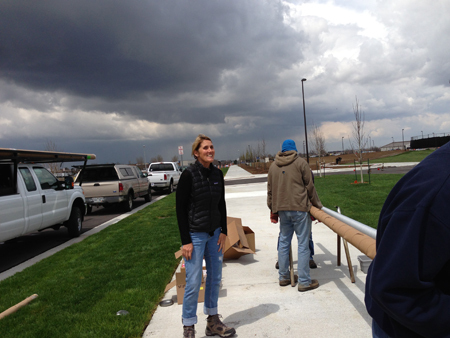 We had the honor and privilege to install the flagpoles at The Colorado Freedom Memorial site in Aurora, Colorado. Once we were awarded the job we decided the entire staff would have a hand in the installation the flagpoles. Yes, all of us. The afternoon started out pleasant and our service department taught the office staff all about internal halyard flagpoles hands on. 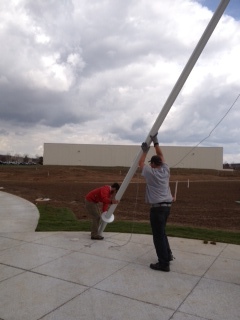 They showed those of us who work in the office how to assemble and install a flagpole. As the day progressed, the afternoon thunderstorms rolled in and before you knew it we were working in the pouring rain. Our dedicated service team thought nothing of the rain and kept on working. The poles were installed and we learned what your service department does on a daily basis. We were all honored to have a hand in installing the poles at a memorial that holds so much emotion. Team-building events. Yes, I believe in them. We work together, think together and then the magic happens. By the end, everyone is chummy, proud of a job well done and glad we did it. 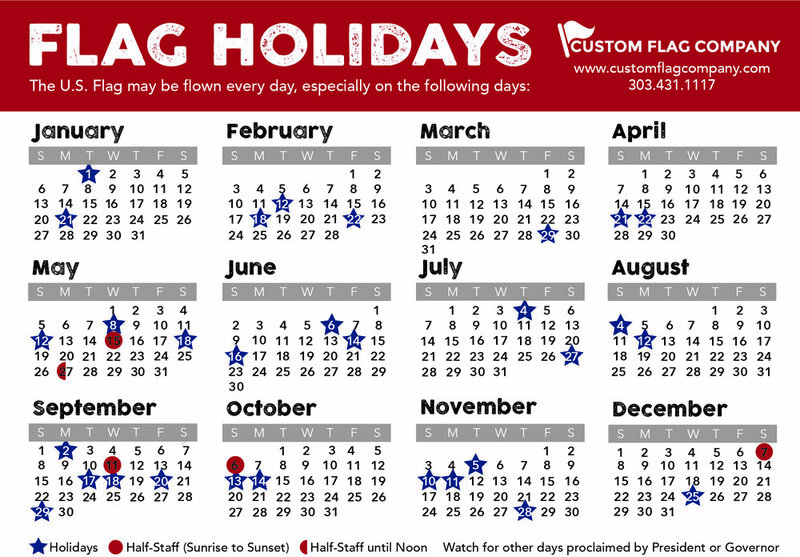 Posted on May 23, 2013 by Super and filed under Custom Flag Company News and tagged Colorado Freedom Memorial Community Flagpole Installation Flagpoles Service Team-Builiding.